Millions of motorists risk being caught in the worst traffic congestion of the year tonight, warn Trafficmaster and the RAC Foundation. The warning is the key finding of the second Trafficmaster/ RAC Foundation UK Congestion Report, which reveals this Friday, October 19th, will be the worst day for travelling by car because of a peak in traffic congestion named ‘Black Friday’, by experts. Traffic jams may be traditionally associated with Bank Holidays or Christmas, but a number of specific factors combine to make tonight’s rush hour longer and more congested than any of Britain’s regular public holidays. These factors include darker (and possibly wetter) weather encouraging more drivers to use major roads, a high level of commuting and commercial traffic and a rise in accidents. According to the Trafficmaster UK Congestion Report, if the current trend continues, this year’s congestion could be as much as 10 per cent* worse than 2003. “The first steps in reducing the effect of congestion are identifying and avoiding it. Just a minority of motorists re-planning their routes or the timing of their journeys could help make sure this Friday isn’t the worst of all”, said Hale. Elsewhere in the report, the nation’s worst congestion hotspot is revealed. Up from second position six months ago, the Western sector of the M25 is officially the most congested stretch of road in Britain, replacing the M1 in Hertfordshire, where traffic has eased slightly thanks to a higher temporary speed limit. The report also reveals the real traffic speed of the UK’s motorways. The average traffic flow speed of our motorways is a healthy 67.5 mph, although there are significant differences in their overall efficiency. Scotland can boast both the most efficient motorway – the A74(M), with an overall real average speed of 69.9mph – and the least – the M8, at only 53.4mph. Trafficmaster and the RAC Foundation recommend more careful planning of car journeys, stressing that drivers should consider alternative routes before they travel. 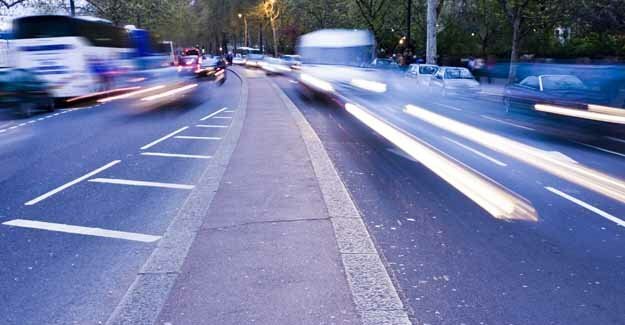 Simple proactive steps to avoid congestion can save time, fuel and even CO2. the organisations also point out that only a minority of vehicles on our roads need to be diverted from congestion to allow traffic to flow freely. * Average congestion increase in previous two years on Black Friday were 7.03% and 12.16% on 2003 levels. ** Trafficmaster congestion alerts are received from Trafficmaster’s sensor network when speeds fall below 30mph on motorways and major inter-urban A-roads.